Sony Manages To Fumble Their Mic Drop! 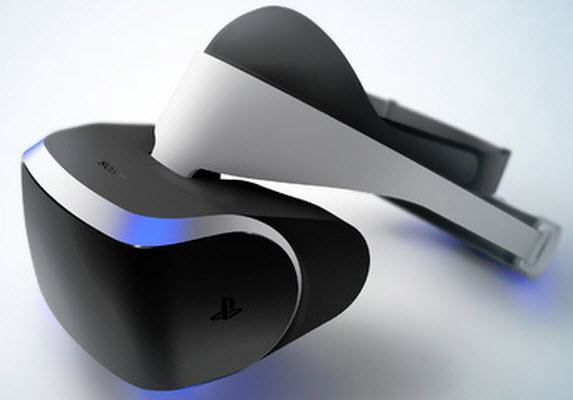 A couple of weeks ago I said that Sony needed to launch Project Morpheus now known as PlayStation VR for $499, but they did one better and launched it for $399. Well except that they didn’t. You can get it for $399, but to use it you will need a $59 PlayStation Camera, and for a quite a few of their 50 launch titles you will need a couple of Move controllers for $40 each, so the grand total will be $540. Though for now you can get PlayStation Cameras and Move controllers cheaper than MSRP if you look around, so not so surprisingly the total would be about $500. Now Sony’s reasoning for launching the VR without any of the necessary accessories was that most of their first adopters will already have the Camera and the Move controllers, which is probably true fanboys tend to buy everything (ask me about my Kinect), but the $399 price was still pretty bogus. They should have just announced two SKUs at their event, $399 for the base headset, and $499 for the bundle. Boom! Problem solved! They still get to have their VR solution be $200 cheaper than the Rift which also doesn’t come with motion controllers, and even with the bundle they still would have been $100 cheaper. It is all win. Now later in day after Sony was getting hammered for their misleading $399 price point they did say that they were going to announce a couple of PlayStation VR bundles. One with headset and all necessary accessories, and one that also includes the PS4. I can understand not saying anything about the PS4 bundle because by October the PS4’s price will have dropped, so to announce the price of that bundle would giveaway how much the that drop will be, and that announcement is usually saved for the lead-in to the all important Holiday buying season, but not announcing the Camera and Move bundle was just odd and ill-advised. Sony still got to drop the mic as far as price goes for their VR solution, but instead of getting to enjoy it they had to deal with the wrath of a lot of confused and angry gamers. Now granted confused and angry seems to be the native mental state for a lot of gamers, especially ones that hang out on the internet, and people were always going to be mad that the PlayStation VR was ‘too expensive’, but they could have saved themselves a lot of grief by just acknowledging upfront that the PlayStation VR was going to be more than $399 for a lot of people. You know, more like $499 like a certain blogger told you it would be. Next PostNext Watch Out For Trigger Warnings!